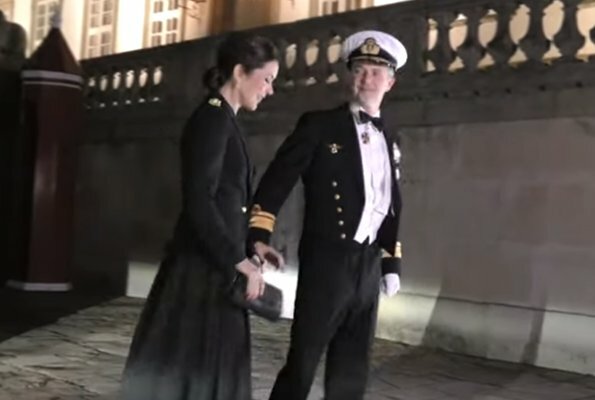 On the evening of January 29, 2019, Queen Margrethe of Denmark held a Medal of Honor dinner for Navy officers at Fredensborg Castle in Copenhagen, Denmark. 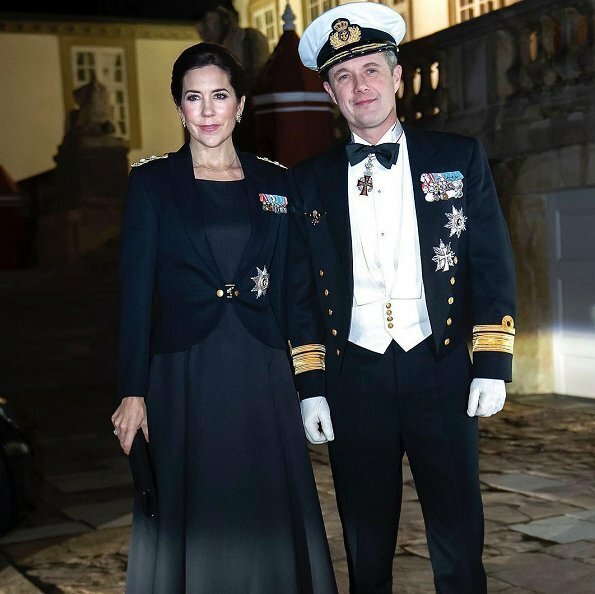 Crown Prince Frederik and Crown Princess Mary also attended the dinner. Queen Margrethe holds a Honorary Dinner for the Army, Navy and Air Forces at the beginning of every new year. Admirals and Commander Navy Officers who won a honorary degree were invited to a dinner at Fredensborg Palace this evening. (Crown Princess Mary is wearing the new official uniform worn by Danish female navy officers). What a beautiful royal couple! Absolutely loving CP Mary's look! Elegance in evening wear with a military touch. Bravo! Agree. I like that it's not just about fashion but about her military role (or how would you call it?) as well. Too dark. Black on black. The jacket and dress Mary is wearing is the new official dress uniform for Danish female naval officers. Mary wore it to show her support. Now that makes sense. Thanks for the information. HRH CP Mary holds a military rank in the Home Guard. She has trained with military and is an excellent shot. More here: https://www.dailymail.co.uk/femail/article-3628473/Crown-Princess-Mary-proudly-displays-FIVE-medals-Danish-Home-Guard-Parade-just-represent.html the uniform is of black wool satin and designed for all Danish female military officers .